Webhooks are a very simple way to tie application together on the Internet. Suppose application A wants to be informed when data changes in application B: the traditional approach consists in having application A poll B for changes. The webhooks approach turns the problem around: B gets configured so it hooks to A via HTTP calls. Whenever data changes in B (or for that matter, whenever anything of interest happens in B), B will call A to let it know. No more polling, just simple HTTP server-to-server callbacks. Webhooks is so simple that there is no spec for it: the HTTP spec is all what is needed really. So how can Mule help? Mule can help you webhooks-enabling your applications, it can also help you handling webhooks callbacks. In this blog, we will consider a use case where Mule is used to enrich webhooks callbacks, acting as a intermediary between – reusing our previous two hypothetical servers – B and A.
Transform JSON lists of values to single values: Unbounce callback JSON data uses lists for all the fields (like the email in the above landing page), but Prancing Donkey only cares about one value. Tentatively enrich the signup data with public profile information: for this Prancing Donkey wants to use IDlight, a free public profile lookup service. This flow is the one in charge of receiving the callbacks from Unbounce. It does a series of transformation before sending to a one-way VM queue and eventually acknowledging with a “200 OK” message. A VM queue has been used to decouple the reception and acknowledgment of the callbacks from their subsequent processing. This is good webhooks manners: no need to hold on Unbouce thread for the time we will enrich and persist their data. If we can perform the initial transformations visible above without issues, it means we’re happy with the data (right format) and can ack it safely. To make things even safer, the VM queue has been configured to be persistent. If Mule gets restarted amid course, processing of the messages in the “Signups” queue will restart. This flow is in charge of actually enriching the signup data (basically just email and IP addresses from the user who signed up) with public profile information from IDlight. It receives signups from the VM queue, invokes a private flow that deals with IDlight, transforms the resulting map to JSON and HTTP posts to the Prancing Donkey server. 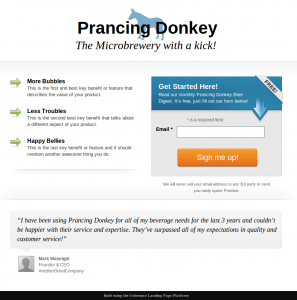 It also uses an until-successful routing message processor to ensure the enriched data has been delivered to Prancing Donkey (it is wrapped around the outbound HTTP endpoint). Yep, that’s pretty intense but it allows us to deal with data variability, which is always a must for building robust solutions. After setting the Accept header to the JSON mime type, Mule performs a standard HTTP GET towards IDlight to try to retrieve a public profile. 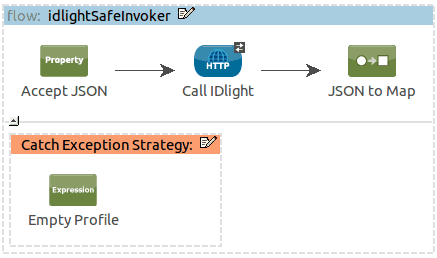 The catch exception strategy is the interesting tidbit of this configuration: if anything goes wrong with the HTTP outbound interaction (404, time-out…), the strategy will kick-in and return an empty map to the caller flow. Again, MEL to the rescue! "about": "Software Professional, Open Source Developer & Author." Do you want to dig more into web hooks? If yes, we recommend that you go through Jim Lindsay’s epic deck on the subject. It’s quite long: if you want to learn about what it takes to roll out your own webhooks strategy, directly hit slide 149. You’ll see then that there is a little more in webhooks than meets the eye in the first place. Is webhooks a technology that you’re using? Or are you considering adding such hooks to your application? 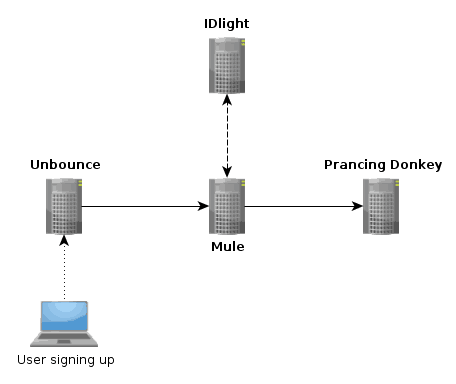 Would you like Mule to offer specific features to help you either consuming or offering webhooks? Let us know your thoughts regarding this technology. Is this the method to configure mule’s object store strategy in queued asynchronous processing? Can I change this bean to FileBasedObjectStore to get it work using file queue store? Nope, this bean is used to configure the back-end of the until-successful message processor. You couldn’t use the TextFileObjectStore because it is not a ListableObjectStore, unlike SimpleMemoryObjectStore. Nice post David, thanks for using us as an example! Thanks for replying David. Does this mean that I can substitute the SimpleMemoryObjectStore with QueuePersistenceObjectStore by using the bean? However I always encounter an exception of cannot casting EventStoreKey to QueueKey when writing persistence file. Class-wise yes you can use QueuePersistenceObjectStore in place of SimpleMemoryObjectStore but you’ll run into run time issue IMO because QueuePersistenceObjectStore writes in a fixed directory so there’s a risk of data collision between until-successful stored objects and default queue stored objects.